Grace Industries, Inc. was incorporated in 1974 by James P. Campman, an electrical engineer with an extensive engineering research background. Mr. Campman's diverse work experiences include National Aeronautics and Space Administration (NASA), Bell Laboratories, American Machine & Foundry (AMF) and Naval Weapons Laboratories. The Company's primary business focus is on life safety products, with special emphasis on advanced technology through research and development. The company manufactures a comprehensive product line of innovative safety products specifically designed for Firefighters, Corrections (Law Enforcement), Mobile Lone Workers, and Industrial Applications, Underground and Surface Mining, Courthouse Safety and Security, Hospitals, Military Applications, and Educational Facilities. 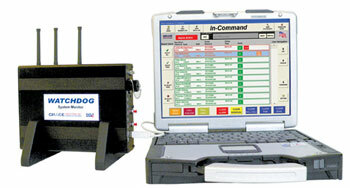 Grace Industries IN-COMMAND Monitor Radio Telemetry Transceiving Unit with In-Command Software Package. Not included is the Panasonic Toughbook® computer (shown). In-Command/Grace Watch A package includes the Watchdog Monitor transceiver unit which sends and receives the radio telemetry signals displayed on the In-Command or Grace-Watch software. The system is capable of monitoring over 3,000 users. 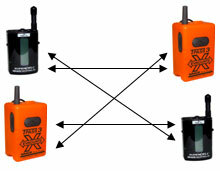 Some of its key features are the immediate notification of TPASS 4 in a MAYDAY or distress situation, the ability to send EVACUATE or CALL signals to selected individuals or all personnel, the ability to perform automatic Personnel Safety Accountability (PAR) checks, and automatic ROLL CALL when conditions warrant. The Panasonic Toughbook® computer (not included) offers touch-screen flexibility in a ruggedized computer. 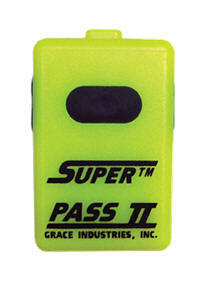 TPASS-4 Two-Way Signaling Radio Transceiving Personal Alert Safety System (PASS) Device. Full Auto-On Activation. Motion Sensing Only. For use with Grace Watchdog Evacuate systems. TPASS-4 is a High-Performance Two-Way Radio Signaling PASS Device that provides Total Accountability automatically registering each TPASS 4 unit present by identifying the individual Firefighter by name and ID number. TPASS 4 is the only 'Two-way Signaling Stand-Alone PASS' that was designed and tested to meet the life safety needs of firefighters. It is third party certified intrinsically safe. Smart Signal Technology is a patented proprietary high-performance, encrypted two-way radio signaling system that allows every TPASS 4 device to repeat critical distress and evacuate signals. This provides a superior reach and penetration deep into complex building structures assuring these alarm signals are received by the Incident Commander. The Accountability Storage Key is an added benefit. The clear Identification Window provides the opportunity to specifically identify the user through the ability to personalize the keys with photos, names, ID numbers, department ID, bar-codes, etc. GRACE has been manufacturing PASS devices for the Fire Service for decades and while they no longer carry NFPA Approval they are still available for the few departments that do not have them integrated into their SCBAs. 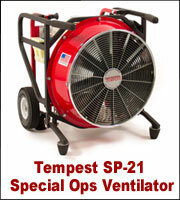 These devices are available in motion only or heat and motion configurations. The Model 20 Investigator’s Aid Hydrocarbon Detector incorporates the most desirable features of any compact, metered detector available. This unit was specifically designed for hydrocarbon accelerants that may be present at the fire scene*. 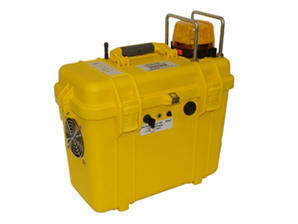 The Model 20 features compact, rugged construction in combination with excellent detection sensitivity. Model C Hydrocarbon Gas and Accelerant Detectors. The Model C is a noncalibrated detector that is used primarily for arson investigation and where it is desirable to detect trace amounts of hydrocarbons. The Model C can easily detect fuel oil concentrations of less than 200 ppm or gas leaks of less than one cubic foot per year. The Model 850 Investigator’s Aid Hydrocarbon/Accelerant/Gas Detector incorporates advanced signal processing techniques in combination with a ruggedly constructed detector to bring you the most advanced survey tool available. This unit will detect the presence of hydrocarbons that may be present at the fire scene and is equally effective as a general purpose gas detector. It is capable of detecting gas leaks of less than 1 cu. ft. per year or gas concentrations of less than 50 parts per million (methane used as test gas). The Model 851 Investigator’s Aid is a precision instrument designed specifically for detecting petroleum volatiles/hydrocarbons and natural gas. The Model 851incorporates advanced signal processing techniques in combination with a ruggedly constructed detector to bring you the most advanced survey tool available. The detector features two modes of operation: a high sensitivity search mode for locating very small gas leaks and a calibrated mode of operation that indicates 0% to 100% of the lower explosive limit (LEL), methane used as the test gas. The Model C+ is very similar to Model C and features both a high sensitivity mode of operation and calibrated mode of operation. The Model C+ is used when it is desirable to know if the gas is explosive and will only annunciate if a gas has exceeded a preset level, 20% of the lower explosive limit (LEL), methane used as the test gas. This detector may also be calibrated to other gases and gas concentrations. GRACE INDUSTRIES is the Fire Industry Innovator in Fire Fighter Personal Alert Safety Systems (PASS Alarms). Over the years the NFPA standards have tightened dramatically and more and more manufacturers dropped out of the market and now GRACE Industries is the only manufacturer of these products. Their expertise in this field helped them develop and produce North America’s first Lone Worker Monitoring system. Taking their very successful SuperPass device and integrating it with Spread Spectrum wireless technology allowed them to develop the GEM Lone Worker Systems. Used in Industries from coast to coast across Canada, the Grace GEM family of Lone Worker Monitoring products have met with tremendous acceptance. They are In Water and Sewage treatment plants, Chemical plants, Military bases, Liquor stores, Bakeries, Pharmaceutical facilities, Cosmetic firms, Metalworking shops, Breweries and many others where workers work alone. The basic Model AT system starts with LTX200 transmitter(s) (from 1 through 32 workers) which sends a signal to the receiver. The AT receiver accepts and individually identifies up to the worker in distress, The wall mounted receiver can use a remote antenna to give a better range. Repeaters can also be used to transmit the signal from one to another to cover very large areas. 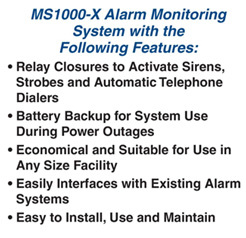 Upon receipt of an alarm, the AT receiver can activate local or remote audio/visual alarms as well as an optional telephone dialer to call off site. The intrinsically safe LTX200 transmitter monitors a worker’s motion and if a worker should be rendered unconscious or immobile for a preset time (30-60-90 or 120 seconds) the transmitter emits a 95db audio alarm and sends a distress signal to the receiver. In a typical 60 second application, the LTX200 emits a local audio pre-alert alarm to the wearer should they stop moving after 50 seconds of non-motion has elapsed. This pre-alert last for 10 seconds before going into full alarm/transmitting mode at the end of the full sixty second cycle. This pre-alert helps prevent false alarms. There is a panic button on the transmitter in the event that a worker is injured but not incapacitated. Hitting this button bypasses the time sequence and the LTX200 immediately goes into full alarm/transmitting mode. In larger facilities a remote antenna with or without repeater(s) may be used to extend the coverage to any size facility. The LTX200 is available in 9Vdc battery or rechargeable configurations. The model AT receiver in addition to receiving alarms; when used with the SC500 or TPASS 3 Transceiver can send an alarm/evacuation signal back to the worker to evacuate the area. Optional Telephone dialer to call offsite in the evert of an emergency. The GraceWatch system was developed for large industrial applications where there may be many lone workers over a large area. The GraceWatch system monitor is coupled to a computer which provides the status of all monitored employees and when used with the GRACE Locaters can indicate the last location of the worker in distress. The GraceWatch uses the same Remote Antennas and Repeaters as the standard GEM system and works with either the TPASS 3 or TPASS 4 transceiver. The GraceWatch system has the added advantage of being able to transmit an alarm to the TPASS 3 or TPASS 4 units indicating an emergency evacuation alarm to the worker(s). The Grace LOCATOR when installed around the facility, aids in determining where the distressed worker is located. 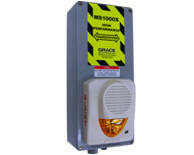 The GRACE MS900 series is a small inexpensive Lone Worker Monitoring system for one worker in a relatively small area. It utilizes the same TPASS II or SuperCell Transmitters but has no audio or visual alarm indication. The unit can use any of the GRACE repeaters but not the remote antenna. An internal relay contact is provided to operate external alarms or activate a telephone dialer. 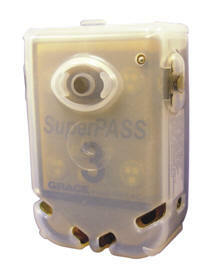 GRACE transmit/receivers such as the TPASS III Co-Monitor and SC500 can be factory programmed to alarm to each other. This allows one lone worker to monitor the other as long as they are in range of each other (1/2 mile line of sight). Repeaters can be used to widen the area. 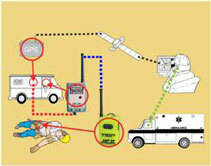 If one worker gets into distress the other worker’s transmitter/receiver will go into alarm. This makes for a relatively inexpensive but reliable system. These systems provide the GPS location of mobile lone workers in distress, allowing assistance to be dispatched in minutes rather than hours. Oil and gas, utility workers, parole and probation workers, over the road truckers, the military, and others who work alone in remote environments can enjoy a higher degree of personal safety assurance by using these products. The GRACE portable worker monitoring system is self-contained in a weather resistant enclosure and has a rechargeable long life battery for durability of the product. The following is the selection of transmitting and tranceiving devices that alarm back to the receiver. period of time (typically 60 seconds). The LTX200 utilizes a 9Vdc battery or can be ordered with a rechargeable battery. The TPASS III is a clip on Transceiver that operates in the same fashion as the LTX. However it has the ability to both transmit alarms AND receive alarms from the receiver. This allows the user to send alarms to the workers from the transmit/receive model. 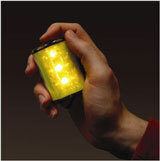 The TPASS II is available in rechargeable or disposable battery configurations. The CO-MONITOR operates the same as the TPASS III except it has the capability to alarm should another worker on the same system get into distress. Two of these units can be used together allowing the opposite worker to act as the safety monitor for the other. The have the same power options as the TPASS III. These can be used with or without the receiver. The rechargeable SC500 functions similarly to the CO-MONITOR in that it both sends and receives alarms. It has the worker down functions except the alarms (including a vibrating alarm) are not as loud as the other models and it has a LC display which can indicate the identity of the other worker in distress. It is commonly used by a supervisor in conjunction with a base receiver. This allows the supervisor to be alerted to a worker in distress immediately. The transmitter monitors a worker’s motion and if a worker should be rendered unconscious or immobile for a preset time (30-60-90 or 120 seconds) the transmitter emits a 95db audio alarm and sends a distress signal to the receiver. In a typical 60 second application, the transmitter emits a local audio pre-alert alarm to the wearer should they stop moving after 50 seconds of non-motion has elapsed. This pre-alert last for 10 seconds before going into full alarm/transmitting mode at the end of the full sixty second cycle. This pre-alert helps prevent false alarms. There is a panic button on the transmitter in the event that a worker is injured but not incapacitated. Hitting this button bypasses the time sequence and the transmitter immediately goes into full alarm/transmitting mode. In larger facilities a remote antenna with or without repeater(s) may be used to extend the coverage to any size facility. The receiver indicates the individual worker in distress verbally and visually and can also activate a relay to initiate local alarms or a telephone dialer. The system can also be tied into your existing alarm monitoring system.